A excellent opportunity not to be missed. The tyres are in excellent condition with NO uneven wear. New tyres have 8mm. X2 255/40/19 Goodyear Eagle F1 Tyres 1 has 7mm tread remaining the other has 6mm tread remaining. 1X7,5MM 1X8MM TREAD. Allof our tyres are sold "as is". (WILDONESTYRES TEAM). PRESSURE TESTED . X1 255/40/19 goodyear eagle tyre has 5mm tread remaining. Bordesley tyre services. A excellent opportunity not to be missed. The tyres are in excellent condition with NO uneven wear. New tyres have 8mm. 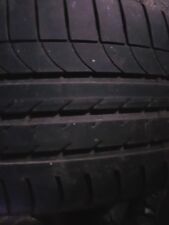 255 40 R19 Goodyear Tyre. Condition is Used. 1 repair. not pressure tested. sold as seen no returns. Delivery including insurance from myhermes. Cannot post until 3rd April. 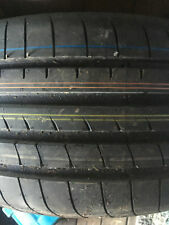 255 40 R 19 100Y XL Goodyear Eagle F1 Asy AO 4-5mm C523. Full fitting of tyres. MANUFACTURER : Goodyear. TYRE WIDTH : 255. TYRE ASPECT RATIO : 40. LOAD INDEX : 100. We do not accept credit and debit cards on site. GOODYEAR EFFICIENTGRIP RSC. See example below All of our tyres are sold "as is". Though we do not know the history or usage conditions of our tyres. If you are outside mainland. WG699 2 X255/40/19 100Y GOODYEAR EAGLE F1 XL A0. 2X8MM TREAD. Allof our tyres are sold "as is". DOT 0118/4417. Our Ref: Z8836A. Model: Eagle F1. Make: Goodyear. Width: 255. Profile: 40. Get in touch, we are happy to help. Tyre Tread Depth (mm) One Puncture Repair. - Visual inspection upon arrival at our warehouse in the UK. All our tyres are tested and puncture repaired (if required) by qualified and fully trained technicians. LOADS OF TREAD LEFT ON THIS.NO DAMAGE OR REPAIRS.COLLECTION ONLY THANKS. MFS o. FR - Special rim protector (Rim ribs). It has been properly warehoused and was never mounted. Tyre Codes / Designations EU Tyre Label and Efficiency Classes. Utilising all the latest Goodyear technology. 255/40R19 2554019 100Y XL. RRP £252.00. 255/40/19 GOODYEAR EAGLE, 100Y TYRE. TYRE STANDARDS. Tread Depth - 6.6-6.8 mm (New Tyre 8.0mm). Excellent Condition / Tested on Rim / With No Punctures or Repairs. WE BELIEVE THAT YOU WILL NOT FIND BETTER VALUE FOR MONEY ONLINE! MFS o. FR - Special rim protector (Rim ribs). It has been properly warehoused and was never mounted. Tyre Codes / Designations EU Tyre Label and Efficiency Classes. Does the tyre fit your vehicle?. (PRESSURE TESTED). All tyres are tested and made sure to be fit for purpose before dispatching. Goodyear Eagle LS2 255/40 R19 100H XL, AO, FP. 4x Goodyear Eagle LS2 255/40 R19 100H XL, AO, FP. TYRES PRESSURE SERVICE KITS. TYRES MUST BE UNUSED & NOT FITTED. IV 1 to IV 28. AB 40 to AB 56. PA 21 to PA 38. ISLE OF MAN (IM) CHANNEL ISLANDS. IV 30 to IV 32. IV41 TO IV49. Goodyear Eagle F1 Asymmetric 3 255/40 R19 100Y XL, MFS. Goodyear Efficientgrip 255/40 R19 100Y XL, MFS, Run Flat, AOE. The tyre is in good condition with approx 4.5mm of tread remaining. A fitting service is also available at our tyre warehouse in Timperley. MFS o. FR - Special rim protector (Rim ribs). Durability and precision steering Goodyear's new Reinforced Construction Technology results in a tyre that's lighter and stronger. The benefit?. It has been properly warehoused and was never mounted. 2x Goodyear Eagle F1 Asymmetric 3 255/40 R19 100Y XL, MFS. MFS o. FR - Special rim protector (Rim ribs). It has been properly warehoused and was never mounted. Goodyear Eagle LS2 - Quiet Riding, Luxury Sport Tire. Tyre Codes / Designations EU Tyre Label and Efficiency Classes. Goodyear UltraGrip Performance GEN-1. It has been properly warehoused and was never mounted. Tyre Codes / Designations EU Tyre Label and Efficiency Classes. BSW - Special design of the side wall. Tyres with black sidewalls. 2x Goodyear Eagle LS2 255/40 R19 100H XL, AO, FP. 2x Goodyear Efficientgrip 255/40 R19 100Y XL, MFS, Run Flat, AOE.